Keep the intensity while lowering the volume! 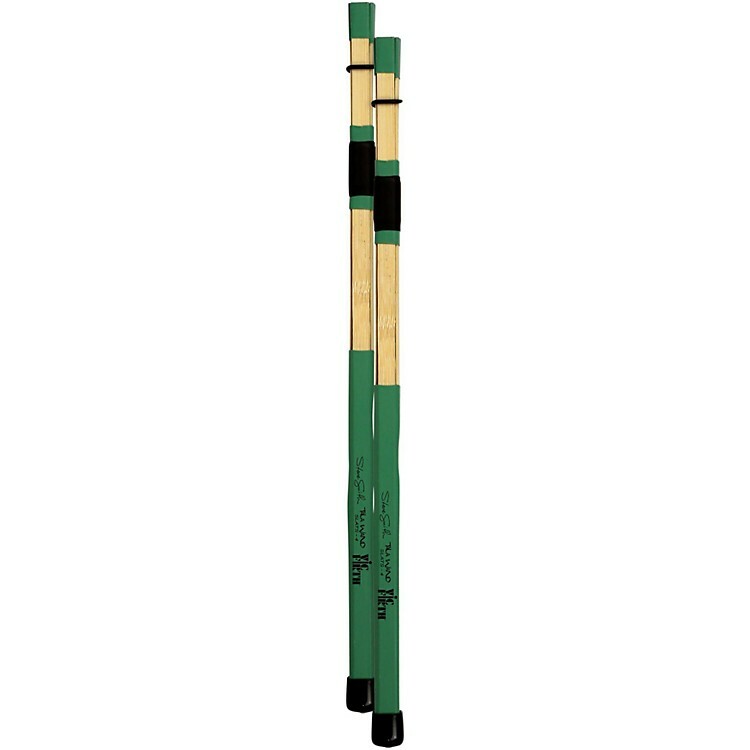 The Steve Smith Tala Wands were conceived when Steve began playing with drummers from India and needed a way to blend with their sounds and be sensitive to lower volume levels. Other bundles worked as far as volume was concerned but they lacked the rebound he preferred. A foam center surrounded by four flat bamboo slats wrapped in thin PVC. This provides a variety of unique sounds with great rebound and feel. This product is unique in that they create softer sounds than sticks but are louder than other Tala Wand and Rute models. A great choice for new sounds on drum set and multi-percussion setups!